The electoral rights of voters in the Faleata West constituency was at the heart of a petition yesterday. A former Member of Parliament, Ale Vena Ale yesterday questioned the kinship of hundreds of voters from the constituency of Faleta West claiming they do not have a blood relationship in the constituency. This was despite some of the constituents being residents. Ale was amongst five witnesses who took the stand in the Supreme Court to give evidence in relation to a petition he filed against the sitting M.P. of Faleata West, Lealailepule Rimoni Aiafi. The election candidate is also taking the Office of the Electoral Commissioner to Court on their part in accepting the registration of the more than 400 voters who Ale alleges, are not eligible to be registered in Faleata West. On the other side, Leala is counter-suing Ale alleging several counts of bribery and treating during the general election. In his evidence, Ale told the Court that people who are not “direct descendants” of Faleata, should not have the right to vote for an M.P. in the constituency. 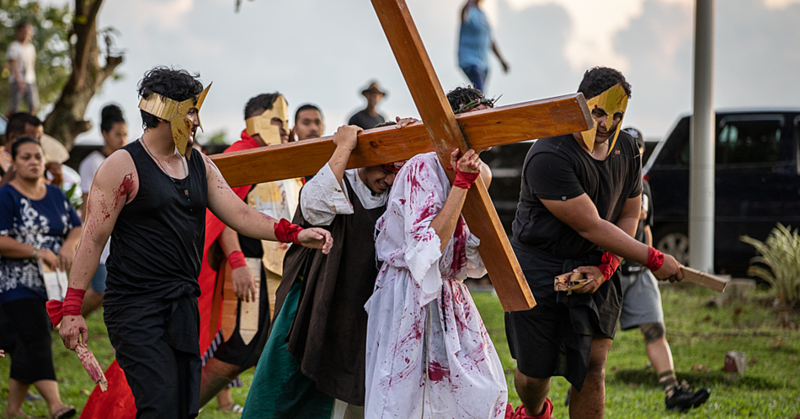 “I believe that a person who is a resident of Vaitele should have a connection (piitaga) to Faleata,” said Ale. “If not, there is an urban seat to register in rather than voting for our constituency where they have no blood relationship. Kinship as I interpret it as an heir (suli). Ale pointed out that the roll for Vaitele continues to grow over the years. He recalled that in the recent elections, from the 5400 people registered in the Faleata West about 2000 of them did not cast their votes. “They never bothered to vote,” said Ale. The matai from Toamua also argued that while everyone in Faleata has the right to decide but such decisions should be “based on kinship to the constituency of Faleata”. He added his case has been extremely difficult in servicing the more than 400 voters to take the stand and to give evidence. Supreme Court Judges, Justice Vui Clarence Nelson and Justice Mata Tuatagaloa are presiding over the matter. Maiava Visekota Peteru is the lawyer for Ale. Sarona Ponifasio is representing Lealailepule. Lawyers of the Attorney General’s office, Muriel Lui and Sefo Junior Ainu’u are standing for the Office of the Electoral Commissioner. In the absence of the voters who were summoned but did not appear in Court, Maiava made an application to allow Ale to comment on the voters and why they should not be registered in Faleata. However, Vui raised an issue of civil rights. “I don’t know if it’s the best way to do it and if it’s the lawful way to do this,” said Vui. Vui pointed out perhaps the question should be put to Ale but it’s a matter that counsel will handle. One of the voters who was served, had her affidavit examined by Ale including a letter of confirmation of residents and another letter from Lealailepule as a matai of the family. After reading the documents, Ale was asked by lawyer Sarona Ponifasio if he would accept that the voter is a resident of Vaitele. Mrs. Ponifasio is representing Lealailepule. In response, Ale said he accepted that the voter resides in Vaitele but said they should not have registered in the constituency. He explained the voter’s parents are from rural villages and therefore should register in those villages and that everyone has kinship from other villages but in this particular case, they should have kinship in Faleata. “I do not accept it because they are not true Faleata people and not blood related,” said Ale. Justice Vui cut in asking Ale if he knew the voter. Vui then told Ale if that was the case, he would not know then if the voter was related to Leala or not. But Ale insisted that he has no doubt that the voter is not blood related. “But you just said you did not know the person,” said the Judge. In cross examination, Ms. Lui asked Ale if he agreed that the voter had satisfied the requirements needed under the law considering the supporting confirmation letters. Ale said no, explaining that under the requirements, there should be a letter from the village mayor and paramount chief (sao ole aiga) and Leala is not that matai and does not satisfy that requirement. Ms. Lui said that the requirement is in fact a letter from one of the family matai. Unhappy with this, Ale accused the Electoral Office of misinforming him claiming that the information he was given was that there should be a letter from the paramount chief not just any matai. 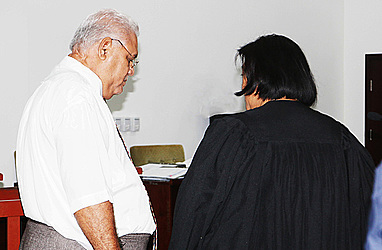 Before the petitioner could move on to the next voter’s documents, Mrs. Ponifasio objected. She told the Court that unless the petitioner knew them personally then he was just going by the papers making up his own opinion. She said the petitioner was going to state his opinion about the voters and some of them he did not even know. “Who is going to prove his case for him if voters don’t turn up?” asked Tuatagaloa. Justice Vui was in support. He reminded that the standard of a petitioner’s case is to prove beyond reasonable doubt. In this case, Vui pointed out there are documents from Electoral Commissioner that “have established that these people do have kinship and are very strong evidence that they are eligible. Vui told Ale he understood his concerns completely, “but this is not parliament we are not here to change the law, we are here to follow it”. Ale said for the past few days it had been hard to serve people who didn’t want to turn up in Court and refused to be witnesses for him. Justice Vui adjourned the matter for the day for the petitioner to see how the case should continue. 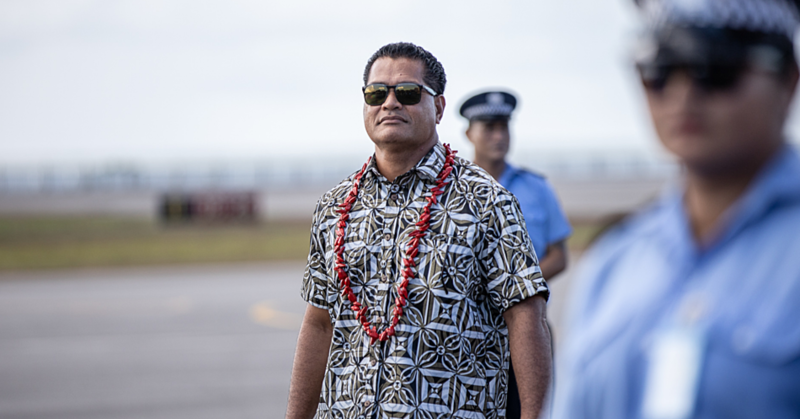 Prior to evidence from the witnesses, Maiava had made an application for extension of time for three weeks to serve 418 voters as some are avoiding service. The lawyer suggested that the second option was for the Court to give direction on what to do. In delivering the ruling for the application, Justice Vui denied the extension of a further three weeks to serve the voters. However he said the remaining 300 voters who were not served are to be served by publication in media in following manner to be published in newspapers that are circulated in Samoa starting today until Sunday 24th April. Also the notice should be broadcast on radio 2AP, FM and television once in the morning and once in the evening.